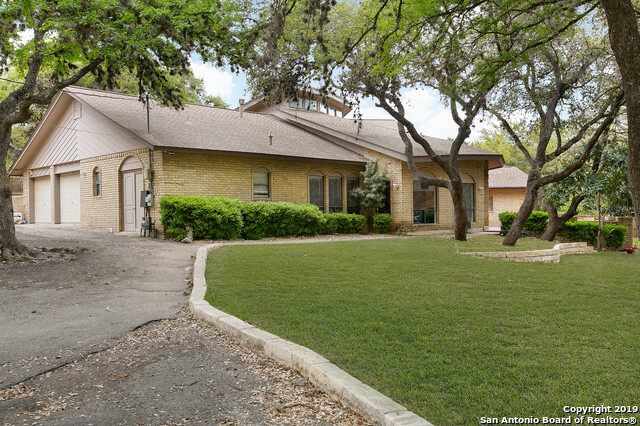 All HILLS_AND_DALES homes currently listed for sale in San Antonio as of 04/26/2019 are shown below. You can change the search criteria at any time by pressing the 'Change Search' button below. "This GEM located in the peaceful neighborhood of Hills and Dales! This 4,000sq/ft home comes equipped with 4 bedrooms with the option for a 5th, 4 baths, a loft overlooking the spacious living room, plenty of storage throughout the home, an amazing pool w/ a new deck, a separate shop, and an abundance of mature trees to give you an outside-the-city-limit sense of privacy, while still being in close proximity to the city with easy access to major highways, shopping centers, and UTSA!"